Dark Horse Comic sent Major Spoilers a sneak peek of Lobster Johnson – Get The Lobster #1 that arrives in stores this week. A Manhattan sporting event goes terribly wrong as the ref is killed in front of a live audience by two crazed—and seemingly bulletproof—wrestlers. Who is behind this new reign of terror? 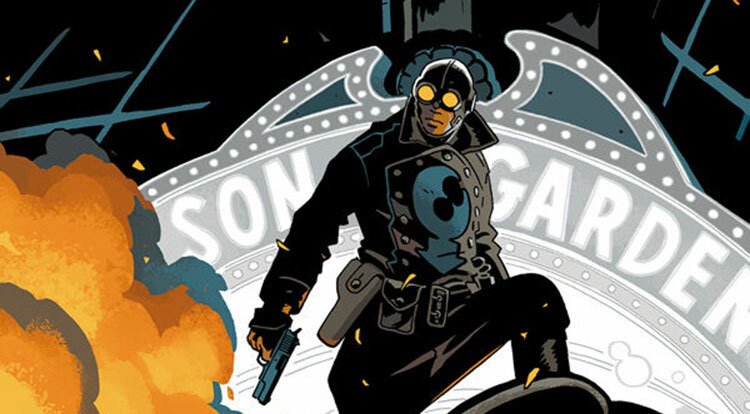 Lobster Johnson: Get the Lobster #1 arrives February 05, 2014, and has a $3.99 cover price.